you give, the more you get. You won’t find the legendary Eastern European town of Belz, Poland on most maps anymore. 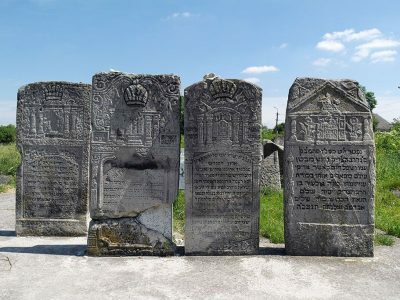 Wiped out in the Holocaust, the town that was a spiritual center of Jewish life for hundreds of years is now an empty shell. But the spark that was lit there in the 16th century has caught fire in 21st. 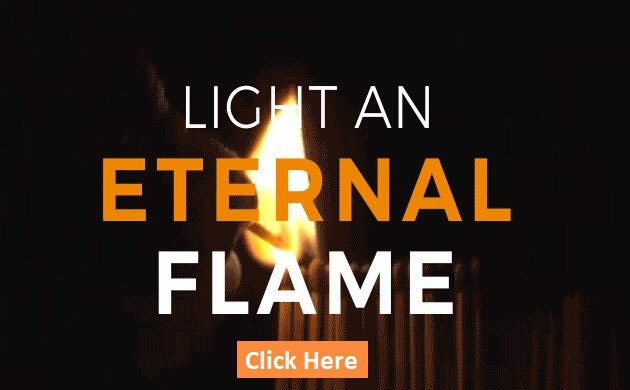 Today Belz is thriving with educational, social, and spiritual programs touching the hearts of thousands of men, woman and children on a daily basis, reaching out from hubs in Israel and America to all four corners of the globe. Rabbi Sholom Rokeach, OBM, takes on the superhuman task of learning through the night for 1000 consecutive nights. 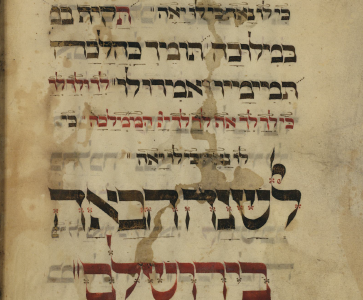 On the very last night, in the midst of a raging storm, Rov Sholom is joined by the Prophet Eliyahu who reveals to him the innermost secrets of the Torah. 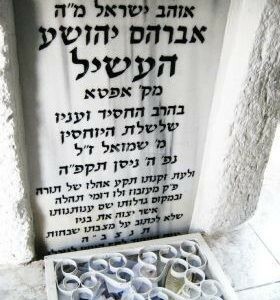 Reb Sholom had reined in Belz for close to forty years, and passes away on the 27th day of Elul 5615. The start of a necessary three day induction period before Rosh Hashonah the day of Judgment, Rabbi Yehoshua explains his eulogy, as his saintly father had been appointed a member of the judicial panel in the Heavenly Court and must, by Jewish law, be given three days to prepare himself! 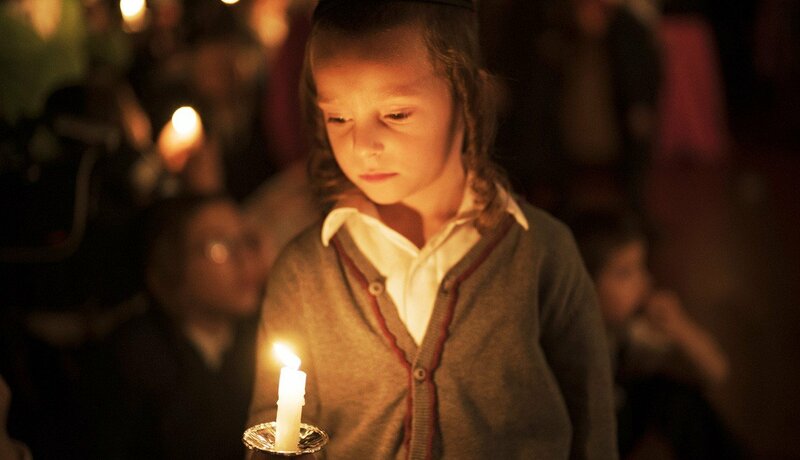 The Sar Sholom is succeeded by his youngest son — an uncommon passing of the mantel. 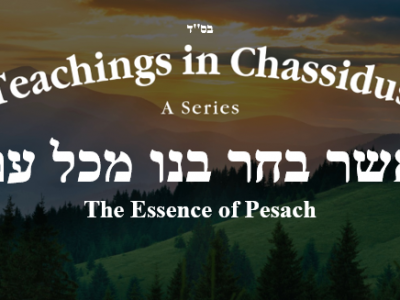 Rabbi Yehoshua, now known as the Mittler Rov — who is blessed with formerly unrecognised tallents and charisma, rebrands the image of a Rabbinic Court and introduces a new kind of relationship between a Rebbe and his chassidim. With the influence of the Mittler Rov, the organization Machzekei Hadass is ratified in 5638 (1878) by over 200 orthodox Jewish communities. The first ever religious Jewish political party, also publishes an influential newspaper another ‘first’. These were indications of a new and successful strategy and proactive approach to combat the assimilationist trends of the Haskala movement. Reb Shimon Sofer, the president of Machzekei Hadass (literally “upholders of the religion”), is elected to the Austrian parliament, the first religious leader and Rov of a Chareidi community elected by a Ultra Orthodox Religious political party to such a position. He commanded great respect with his autocratic and partrichal image combined with his wisdom and intellect. As charismatic a leader as his father before him, Rabbi Yissochor Dov is known for his passion for Torah study. 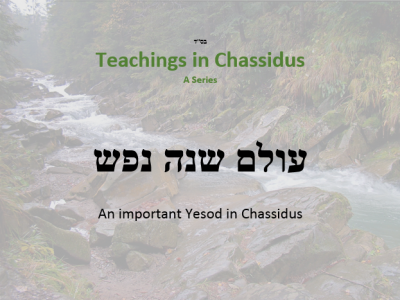 Building and expanding on his father’s achievements Belz is in the forefront of the developing influence of the Chassidic / Chareidi population. He founds dozens of schools to teach Jewish values, battling constructively the trend toward the “enlightened” schools that were striving to supplant traditional Jewish values. 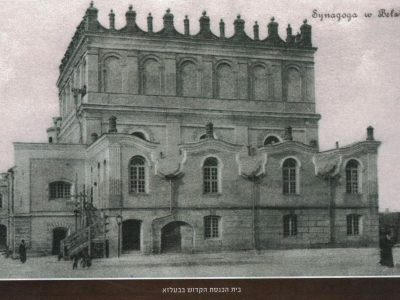 Russians occupiers billet their troops in the Rebbe’s home, set up a field hospital in the House of Study and stable horses in the holy synagogue. All of Galicia is a battlefield. The Belzer Rov is forced to flee to Hungary, but wherever he goes, he is an inspiration to war torn communities and a source of comfort and support to thousands of refugees. After the war he galvanises the reconstruction efforts to rebuild and restructure a world that all but destroyed by the brutal war. After WW1, the Frierdiger Rov tries with all his considerable strength to rebuild the devastated Jewish communities, but forfeits his health in the process. Thousands flock to Belz to pay their last respects as the Leader of Galician Jewery is laid to rest. 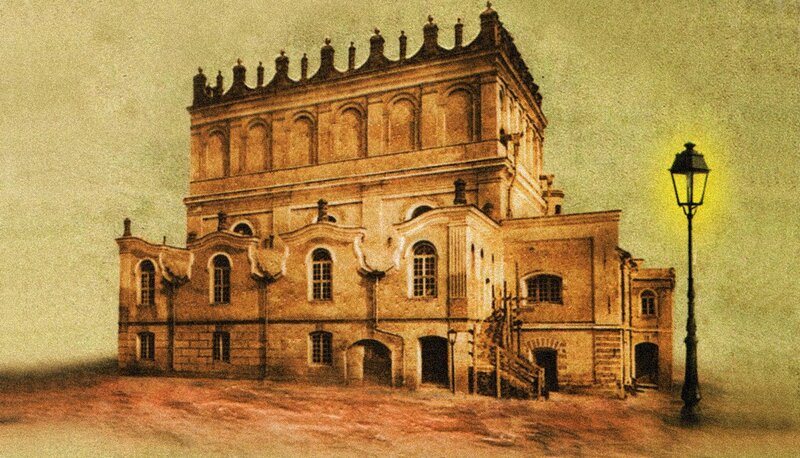 The very walls of the great Belz Synagogue dripped with water, as though shedding tears along with the mourners. 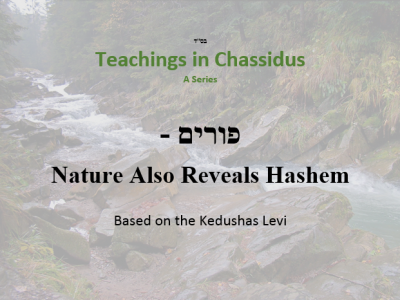 1927-1950: The history of Chassidus is full of great spiritual giants, Tzadikim who reside amoungst us mere mortals but living the lives of celestial angels. However Reb Aharon, the first son and successor of the Frierdiger Rov, was a giant amongst giants. He lived a life of total detachment from the mundane, and banishment of anything coarse and vulgar. Virtually an angel in the visage of man! 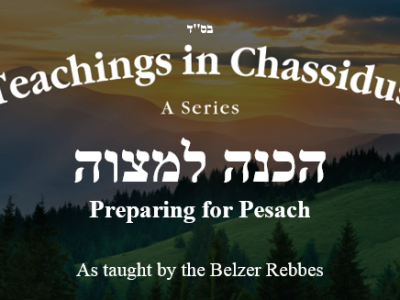 The seed of Belz Chassidus is planted in the Holy Land with the first Belzer Shteible in Jerusalem — thereby instigating the first step towards the building of Belz outside of Eastern Europe. 5 years later, on 9 Shevat 5704 (1944), two illustrious refugees, the holy Belzer Rebbe and his brother the Bilgorajer Rov will set foot in Eretz Yisroel and the reconstruction of an empire will begin. Fleeing from Nazi persecution, the Rebbe slips into the Bochnia ghetto incognito. Avoiding Nazi ‘aktions’ he is spirited in turn from Bochnia to Krakow and back to Bochnia. His Chassidim attempt in vain to keep his identity secret, as the “Wunder Rabbiner” was on the Nazis ‘most wanted’ list. But even the most callous Nazi collaborators fall under his spell and helped keep the Rebbe safe, to survive and eventually escape the ghetto. 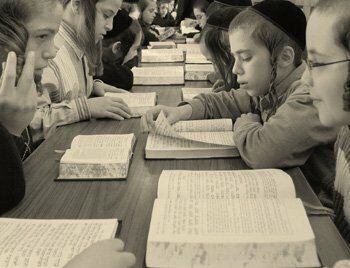 The first Belz Talmud Torah open, in Tel Aviv, Jerusalem and Benei Berak. Followed by a Yeshiva in Jerusalem. 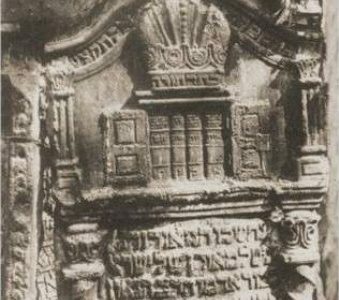 The driving force behind the emerging Belz educational program is the Bilgorajer Rov, though his stewardship was not destined to last: after a short illness he passes away on the 25 Cheshvan 5711 (1950). 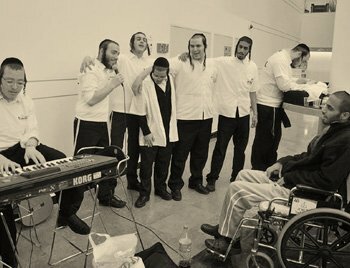 Belzer Chassidim are heartbroken when their beloved Rov passes away. Thousands jam the streets to pay tribute to the man who cared for so many in his lifetime. From all walks of life the thronged to Yerushalayim to mourn the passing of a great Torah personality and master of compassion for his fellow Jew. His gravesite has become a shrine visited by thousands every year. The Crown Prince of the Belzer dynasty marries the granddaughter of the then Wiznitzer Rebbe ZT”L. Jubilant Chassidim from around the world throng to B’nei Brak to take part in the joyous occasion. Two years later, the present Rebbe Shlita is anointed in Jerusalem as the Fifth Belzer Rebbe. 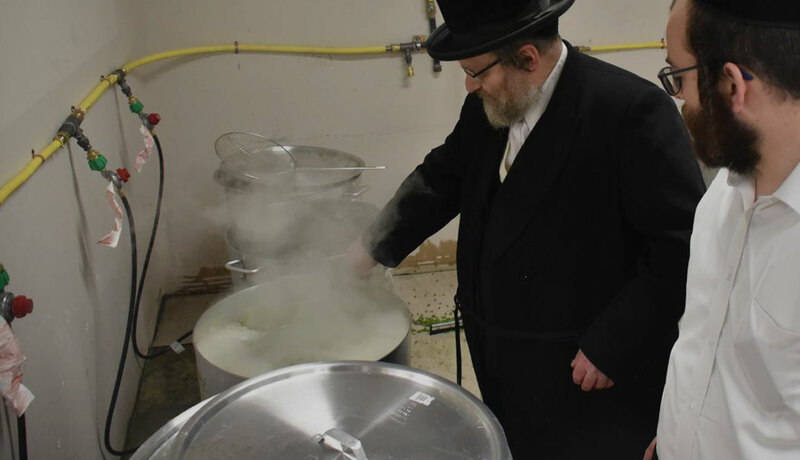 As his forefather and namesake before him, the Rebbe Shlita sets about the task of gathering the scattered survivors and rebuilding and restructuring the Belz empire to its former glory. 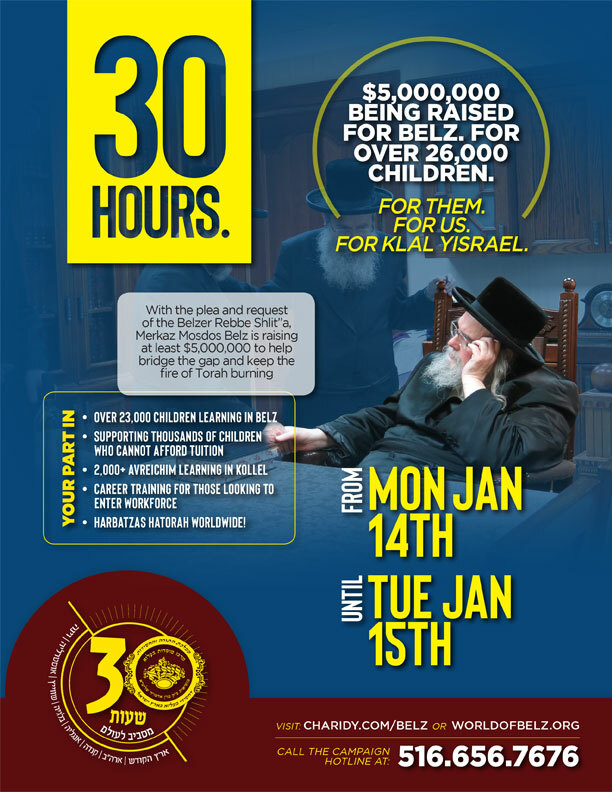 This time, however, Belz in Eretz Yisroel and other communities replace the forsaken communities in Eastern Europe. 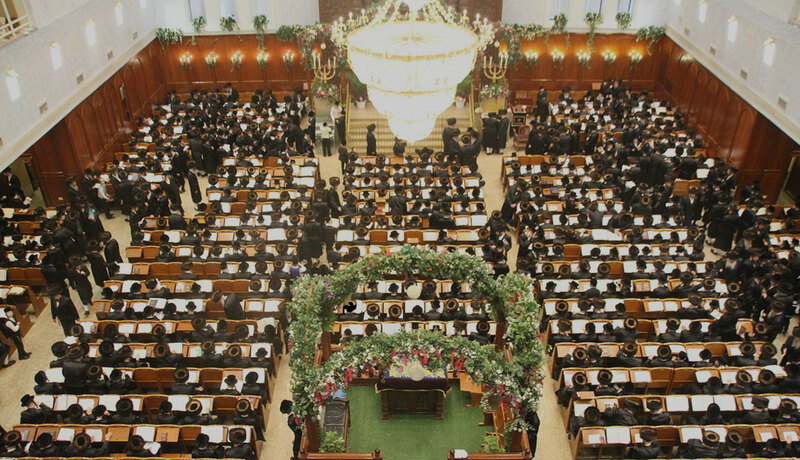 Till now, legal matters in the Belz community — marriage arrangements, judicial rulings, etc. 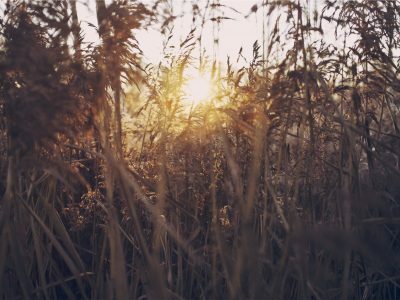 — were taken up by outside rabbinical authorities. The Rebbe decides to create a new beis-din within Belz to administer Torah law. 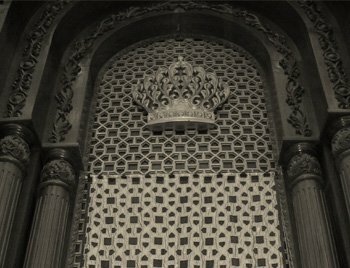 The Hactorah, or “crowning” event was the first in Chassidic circles, but has since been followed by most communities. The cornerstone is laid in Kiryat Belz in Jerusalem for the new Belz World Center. Thousands of Chassidim attend the groundbreaking, as well as dignitaries from around the world. Today the Grand Synagogue is one of the greatest in the world, dominating the Jerusalem skyline as the Belz Shul did in Galicia. The network of Beis Malka schools for girls, named for the Rebbetzin of the First Belzer Rov, Z”L, is founded. With branches scattered throughout Israel and the world, these schools offer thousands of girls a unique learning experience based on Chassidic values. 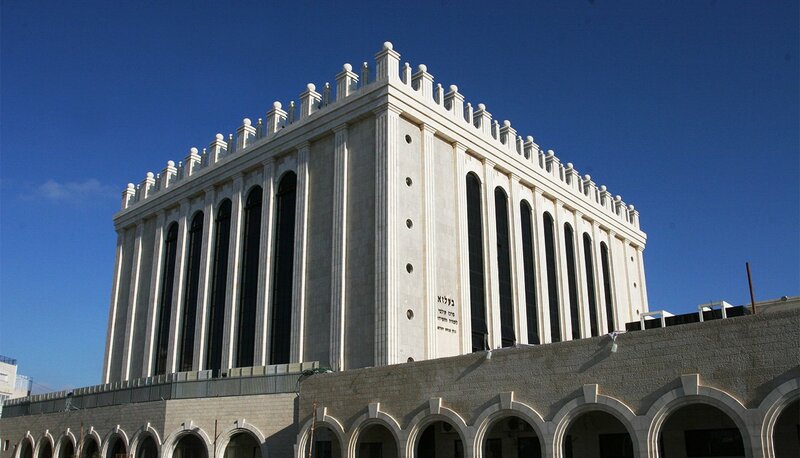 Belz Worldwide continues to grow worldwide with the building of Kiriyot — housing projects and neighborhoods in Jerusalem, Ashdod, Har Nof, Piskat Zeav and Beth Shemesh, each with synagogues and community buildings and several hundred families. Belz mosdos spring up throughout Eretz Yisroel and around the world.